Partido Nueva Alianza (in english "New Alliance Party") site is hacked by Anonymous hackers group. Just yesterday Mexican governor Saturday Ivonne Ortega Pacheco suffered a cyber attack on his Twitter account. The site New-alianza.org.mx is H4cKeD By S1L3X!_4l. 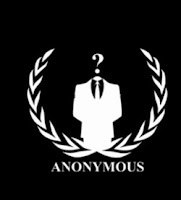 They defaced the site with a black background, a video of the group "Anonymous" linked from YouTube and legend of the hacker, who presumed to have taken control of the political party's website. It was again Hacked By Sector HCV. The pastebin looks like it contains some users info dumped from the database of the hacked site.